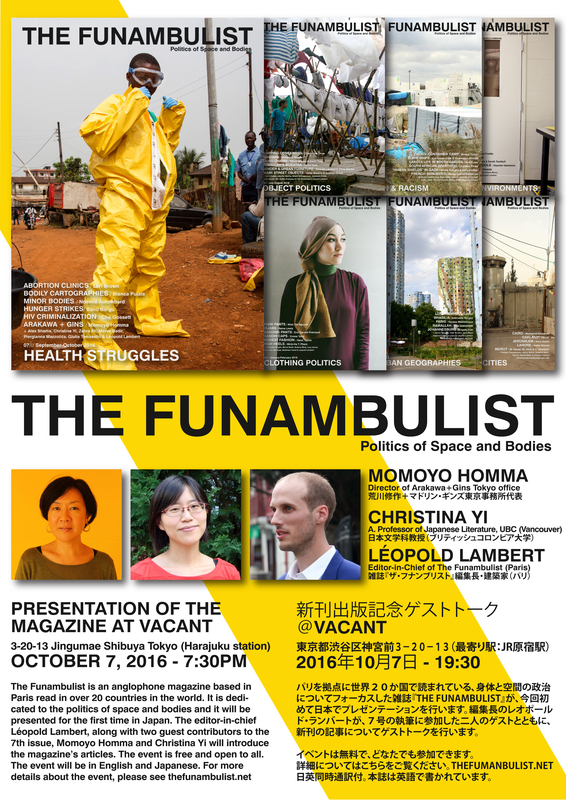 I am happy to announce that on October 7, at 7:30PM, The Funambulist contributors Momoyo Homma, Christina Yi, and myself will present the magazine at VACANT in Tokyo. This presentation will particularly focuses on the latest issue (#07 HEALTH ISSUES) in which both Momoyo and Christina have an article. Christina wrote a guest column about the discriminatory administrative status of Korean Zainichi (residents) in Japan, while eight pages of the issue is dedicated to the illustrated transcript of an interview of Momoyo Homma dedicated to the artistic and architectural work against death of Shusaku Arakawa and Madeline Gins. 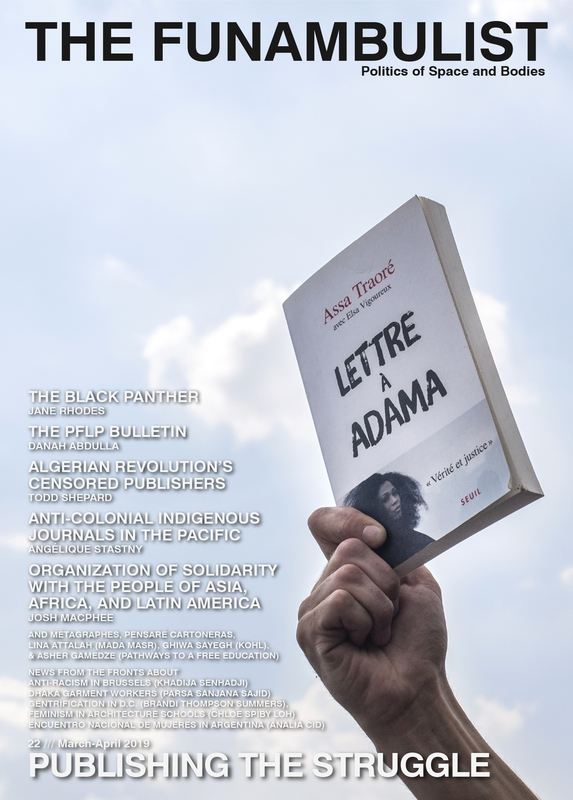 Both will present their account in English and Japanese after a presentation of the editorial project as a whole. This event is the sixth one of the kind, after presentations with guest contributors in New York (x2), Paris, London, and Montreal. You can find reports of the two events in New York here (August 2015) and here (May 2016). I’d like to thank Yoshi Tsujimura for facilitating the organization of this presentation.